Thursday's game vs William Jessup canceled. 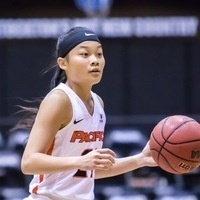 Due to a death in the William Jessup family, the coaches of Pacific and William Jessup women's basketball have mutually agreed to cancel the season-opening game at the Alex G. Spanos Center between the two teams. The Tigers will now open the season on Sunday at UC Davis in a 2 p.m. game. Pacific's home opener will now coincide with the first game of the Tiger Turkey Tipoff on Nov. 23 against North Dakota State. The ticket vouchers that were originally intended for Thursday night's game will now be accepted at any 2018-19 women's basketball game at the Alex G. Spanos Center. The thoughts of Pacific Athletics and the Tiger women's basketball family are with William Jessup and the family of men's basketball player Kevin McLemore in this trying time. We stand with you #WarriorStrong.